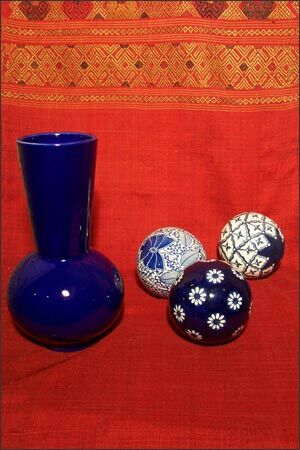 Carry out a Color Theme of Blue and White with These Glazed Decorative Porcelain Spheres. Three Floral Motif Patterns, and Only Two of Each Available. Wonderful Placed in a Bowl. Please See Blue Porcelain Vase Under Containers - Bowls Vases Plates.